X95: Tavor Face (Gas Face)? 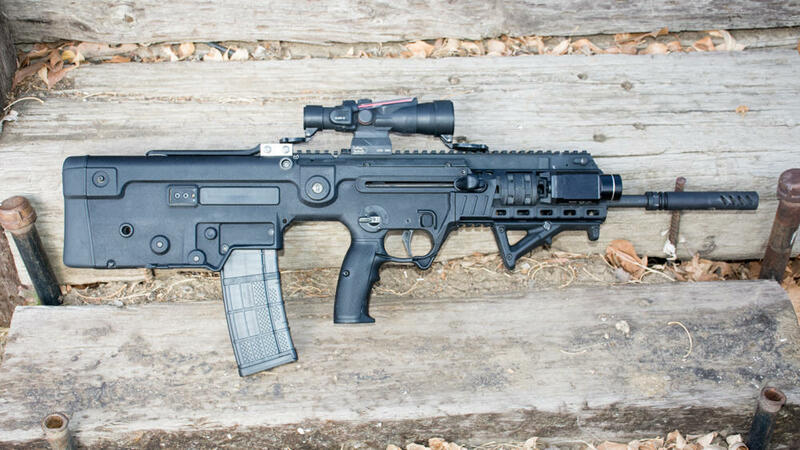 I'm new to bullpups and to Bullpup Forum, and I just picked up a new X95. Haven't shot it yet, and I am considering some mods first. Found some old threads about Tavor face, and I noticed they were one-and-a-half or more years old. Seems like nobody is talking about gas face much now. Does this mean that the gas has sedated everybody so much that they are no longer able to talk about it, or has there been some improvement in the newer rifles to reduce or divert the gas? Possible "Tavor face" improvement that is free. Gas in face, Tavor face, excess gas blowback thread. Re: X95: Tavor Face (Gas Face)? ...I just picked up a new X95. Haven't shot it yet, and I am considering some mods first. This is a common action in the gun world and should be resisted at all costs! Because there are a plethora of aftermarket parts, we tend to want to "upgrade" our guns. The truth is, most of the time they don't need to be altered at all. It's quite common to hear of some mod followed by questions on how to get the gun to work. I've been guilty of this myself. See that thing on the comb? Yeah, unlike everyone else, the comb was too low for me so, I added a part to raise it up. This is much better. The X95 lends itself to a lot of customization, but how will you know what you need until you shoot it? I have no issue with gas to my face. I don't think you will either. It doesn’t bother me too much unless I shoot suppressed. I broke my charging handle months ago and bought a replacement but haven’t gotten around to fixing it yet. I get bored easily and have already moved on so my X95 gathers dust until I get around to fixing it. I gave up on suppressing my X95 since I already have suppressed 5.56 and 300blk sbrs. Do the charging handles break easy? No, I was being stupid. i have 2 tavors, the older sar and the x95. i started shooting my sar suppressed and discovered the hard way, the ejection port covers that are supposed to stop tavor face do not do it. the only thing that worked for me was to to use black silicon around the ejection port cover and along the rail on top. i think the gentleman that said don't get all the aftermarket goodies is correct to a certain extent, i think the ejection port covers, the buttstock, and some other stuff is probably not necessary,,,,, i will say that the geissele super sabre trigger and box are AMAZING compared to stock,,, and i also think the elevated rail is very nice for optics (and my neck). Shouldn't be a problem for most people unless they are shooting suppressed. If it is a problem, then you can try one of the after-market ejection port covers, or cover with gorilla tape, seal it with a glue gun, etc. It will prevent the gas from being an issue at that point and it will force it to come out somewhere else. on my sar, i thought most of the gas was coming out of the rear rail area as opposed to the ejection port cover.